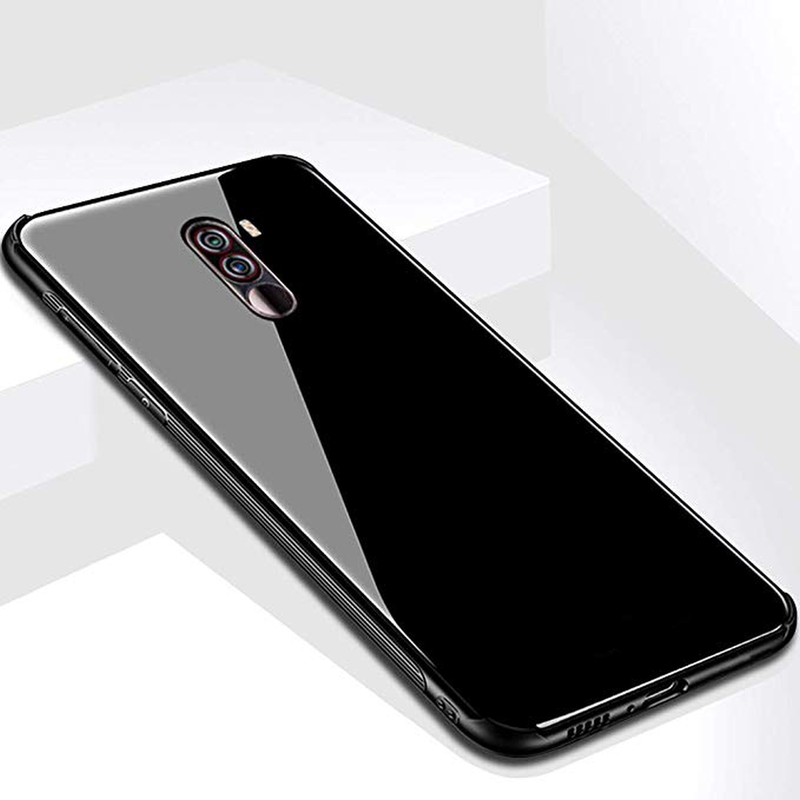 The Xiaomi Poco F1 was launched in India back in August but was recently announced in the US market too after its remarkable success. Known as the mid-range disruptor, the phone houses remarkable specs for what it costs. However, the amazing specs come at the cost of inferior build quality. 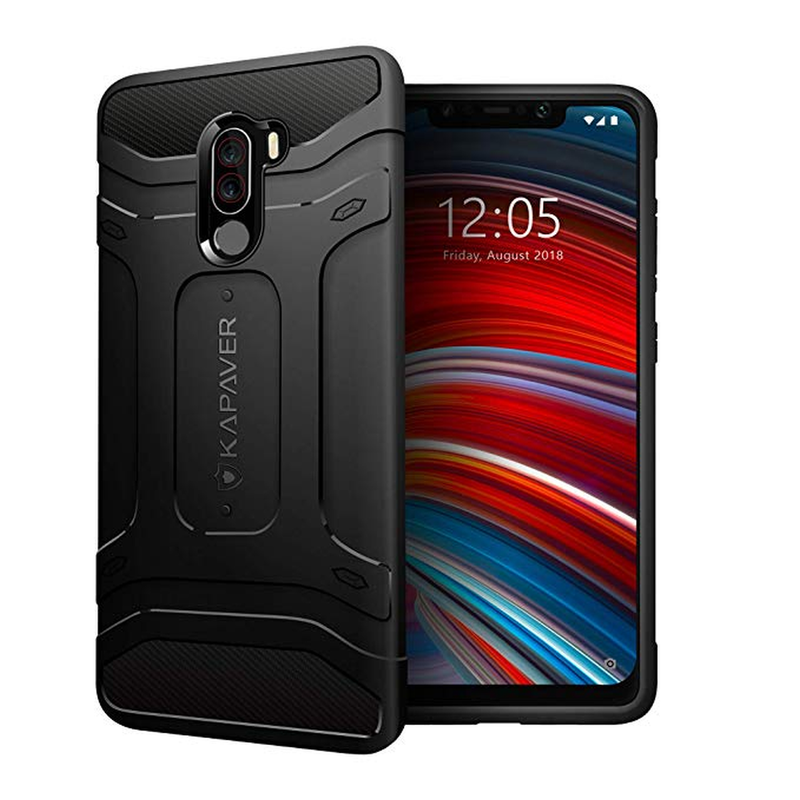 Therefore, it becomes necessary to protect this fragile powerhouse with a sturdy protective case so that you can make full use of its 6.2″ inch display and the power within. 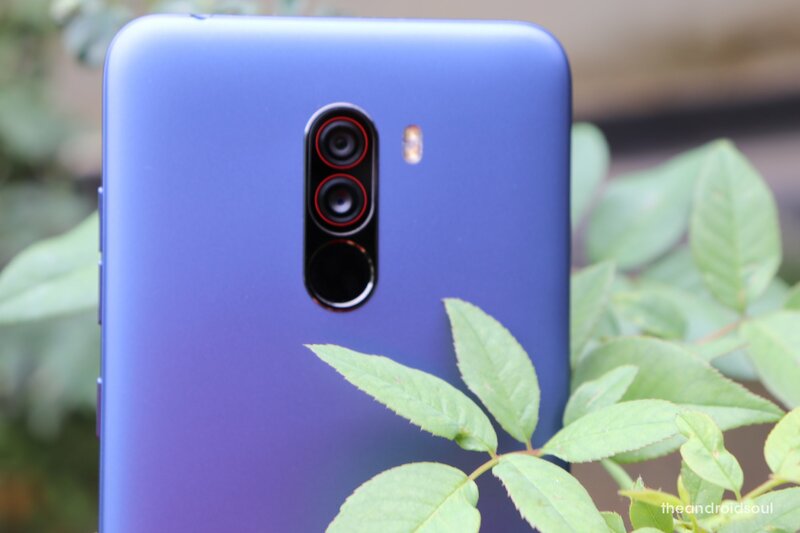 Here we’ve jotted down the best cases for Poco F1 available in the US and India. Securing your phone with any one of these should do the trick. This clear case is made out of flexible TPU meaning it will absorb all the shock arising out of accidental drops, bumps, and scratches. Ultra-slim and lightweight, this case doesn’t hide your Poco F1 phone’s looks and neither does it bulk it up too much. Raised edges protect the screen and camera, while perfect cutouts mean you get access to all the ports and buttons without removing the case. This clear case boasts of just 0.1-inch thickness while efficiently protecting your Poco F1 phone from damage caused by accidental drops and knocks. This electroplated case is lightweight and enhances your phone’s looks due to its minimalist design. This anti-slip case also supports wireless charging, meaning you won’t have to take it off while charging your device wirelessly. This protective case is made out of premium polycarbonate material. The surface of the back cover is water-resistant, dust-proof, anti-skid, and anti-fingerprint. It doesn’t break easily and provides your Poco F1 phone with adequate protection. The textured back provides for a comfortable grip, making this case perfect for those who prefer a non-transparent case that’s not too bulky either. 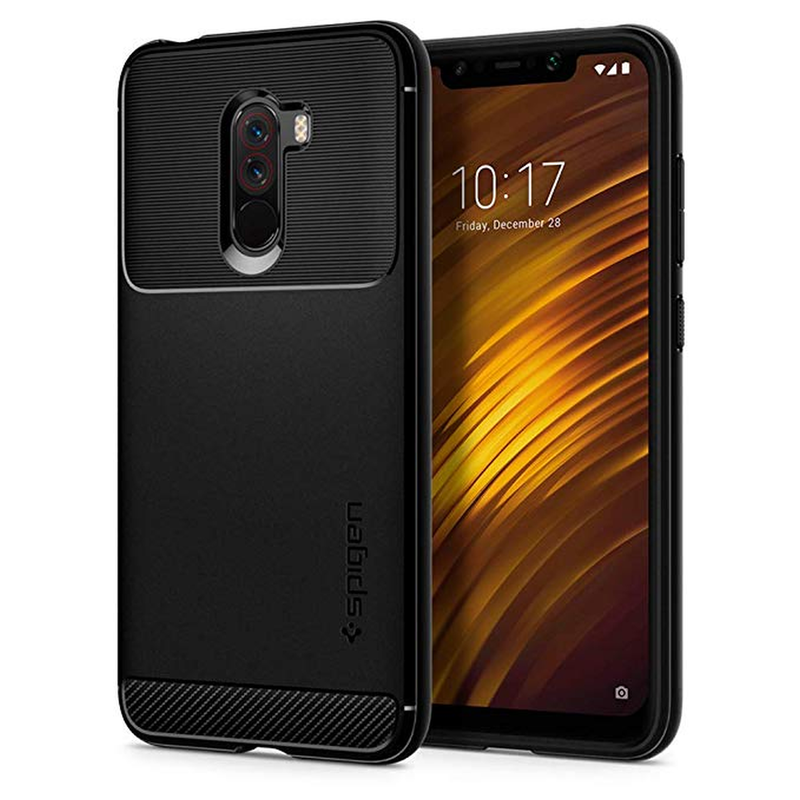 This case features a carbon-fiber design atop a flexible TPU construct that shields your Poco F1 phone from dust, abrasion, and fingerprints. 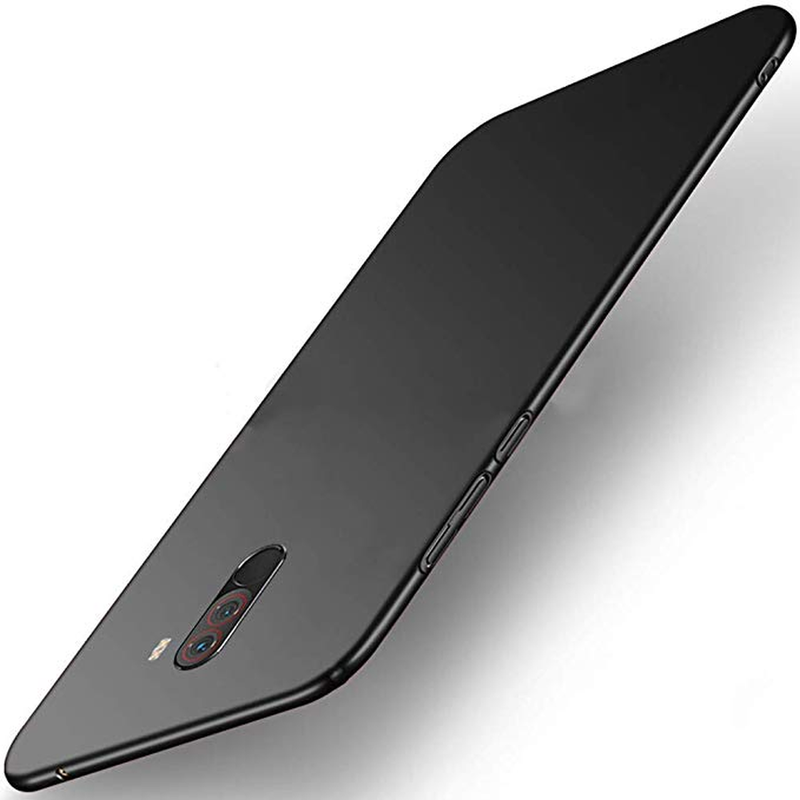 Additionally, it also protects your phone from accidental drops and bumps through its air sac sink technology despite the relatively slim body. The subtle wire-draw pattern at the back enhances grip and feel to prevent damage from accidental falls. This crocodile pattern case is not only fashionable but utilitarian too. 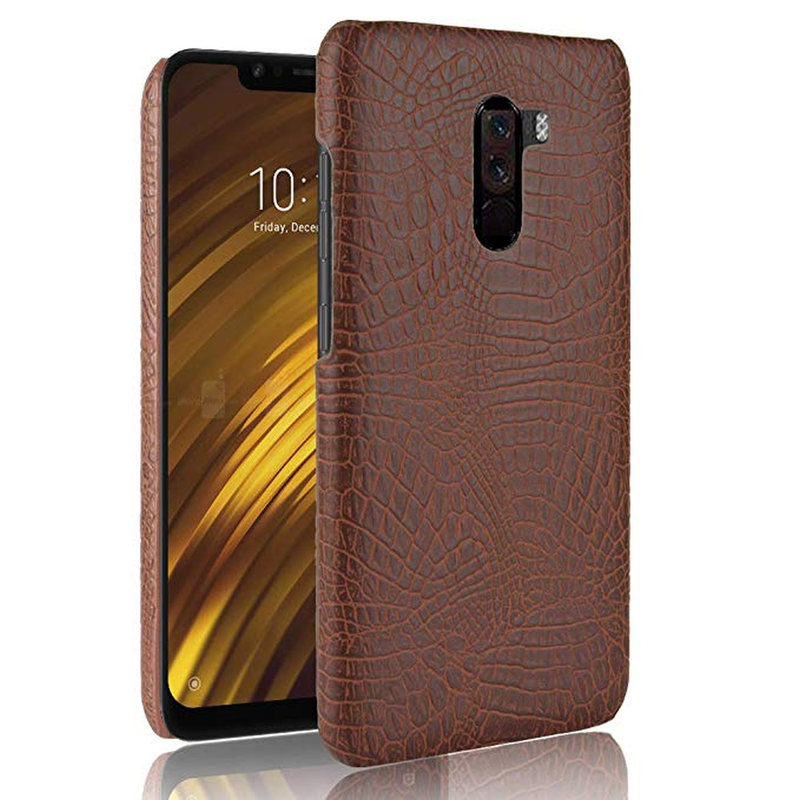 This hard-back case doesn’t catch fingerprints and the crocodile pattern makes it anti-slip, providing a firm grip to your Poco F1 phone that feels great to hold. Form-fitting and perfect cutouts mean you get seamless access to all the ports and buttons in addition to its protective qualities. This rugged case is dual-layered for enhanced protection from damage caused by accidents. 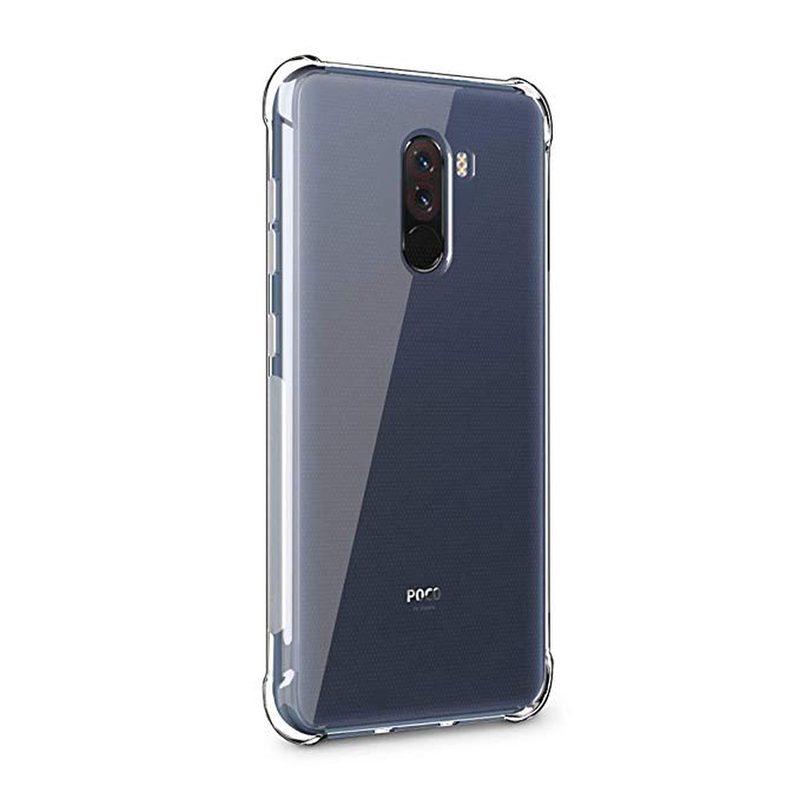 Composed of a hard polycarbonate back and soft TPU inner, the case provides absolute shock-resistance due to reinforced edges and protects your Poco F1 phone from accidental drops, knocks, stains, and scratches. 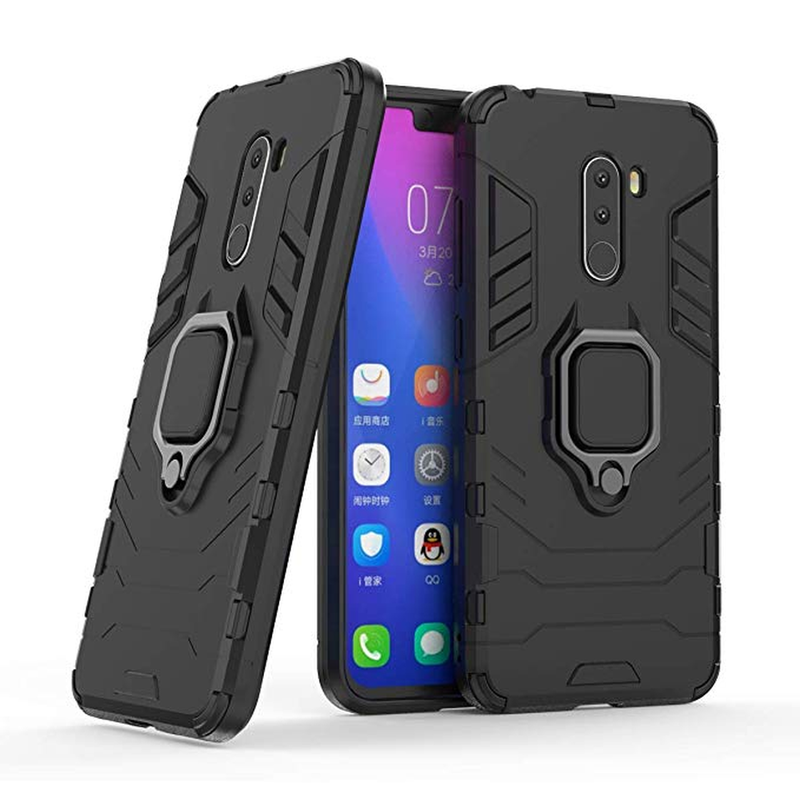 This rugged case is composed of hard-polycarbonate outer shell and soft TPU inner. The armored case provides 360-degree protection with an integrated kickstand that allows you to watch multimedia hands-free. It also comes with a magnetic car mount which lets you attach your phone to your car for easy navigation. 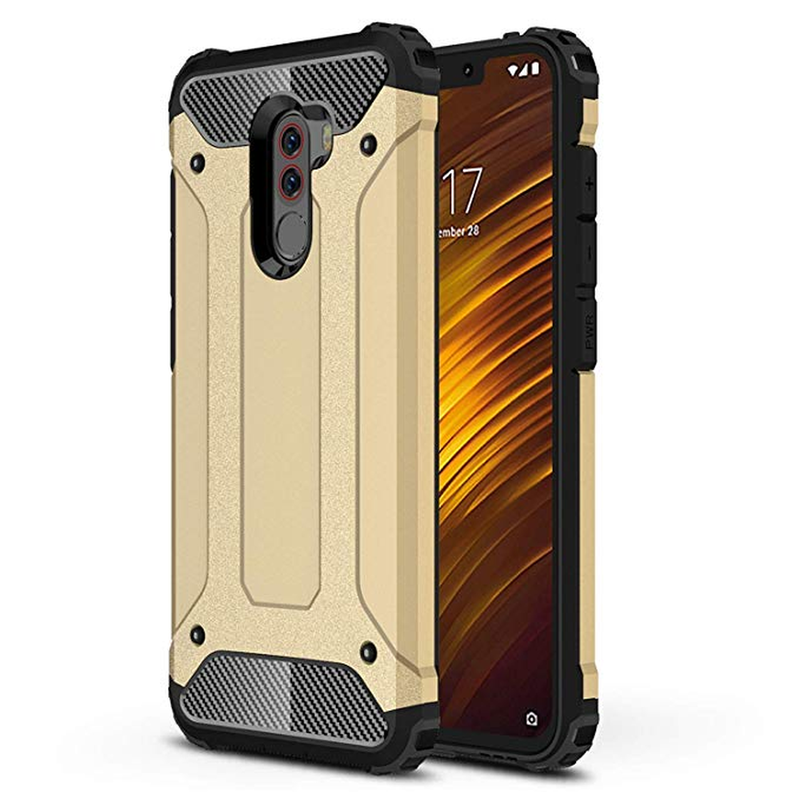 This rugged case houses a polycarbonate back, meaning it provides supreme protection to your Poco F1 phone from all kinds of impacts. The integrated kickstand provides you the option of watching multimedia on your phone totally hands-free. Despite the hard back, the case is surprisingly lightweight and durable compared to armor cases that bulk up phones significantly. This classic case is made out of PU leather and features a clamshell design. Despite the slim construct, the case ably protects your phone from scratches, fingerprints, and accidental bumps. A magnet helps secure the flap of the case to ensure your phone’s screen is always secured when sitting idle. This premium artificial leather case by TopACE is both classical and stylish. 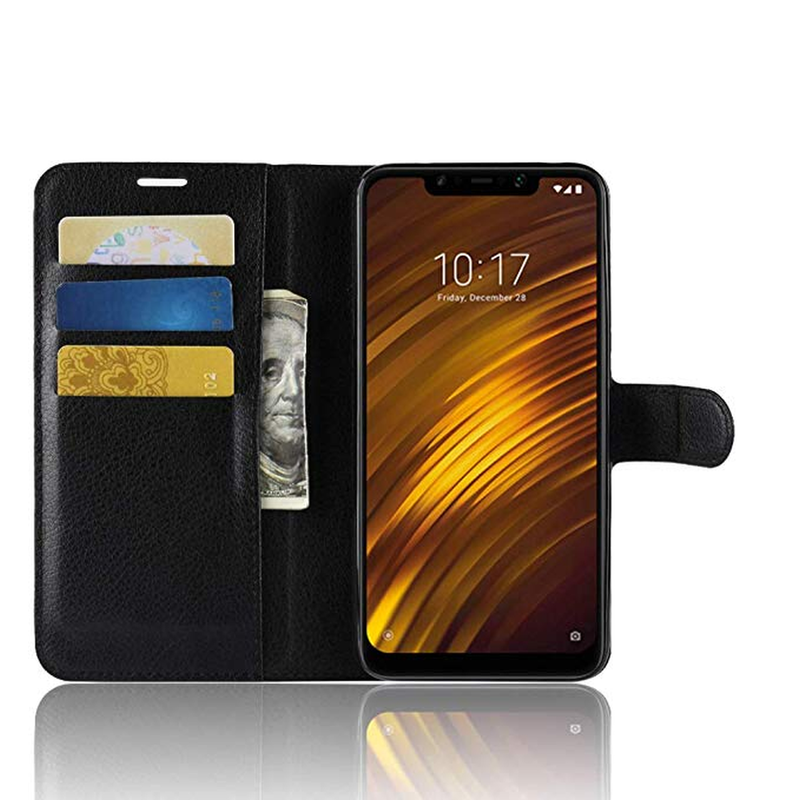 It houses three card slots and an additional sleeve to store your credit cards, visiting cards, and some cash. The soft interior lining protects your phone’s screen and the PC back protects it from damage arising out of accidental drops and bumps. 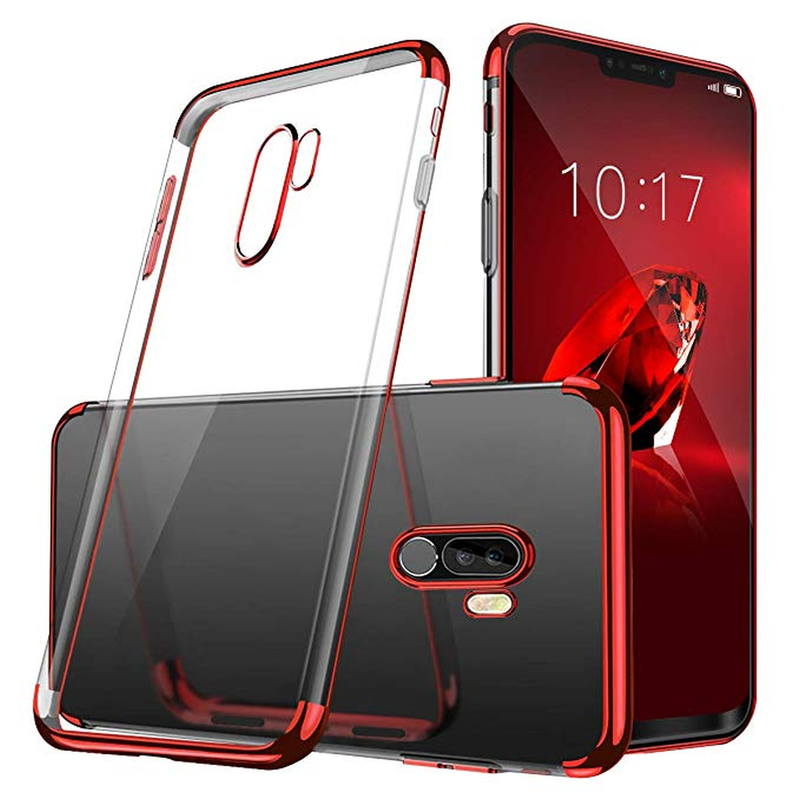 This crystal-clear case offers military-grade protection to your phone with its form-fitting shockproof corners powered by air cushion technology. Raised edges protect your Poco F1 phone’s screen and camera from scratches occurring while placing the phone on flat surfaces. This lightweight case is perfect if you want to show off your phone without compromising on its security. This protective case is reinforced with toughened glass back that not only adds to the beauty of the phone but secures it too. 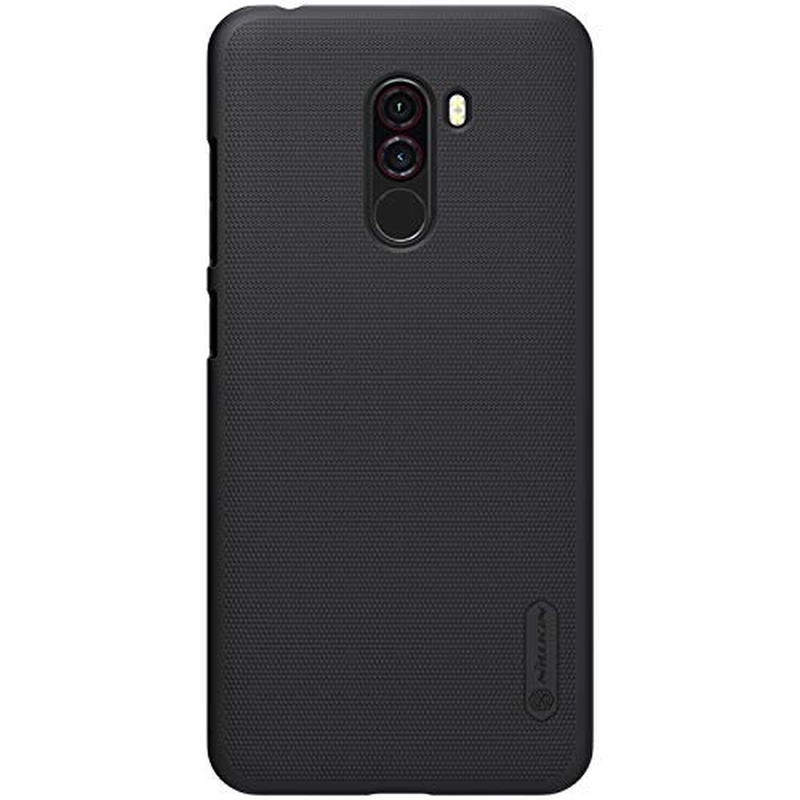 This luxurious case is designed with advanced hybrid technology including a TPU bumper which ensures all-round protection for your Poco F1 phone despite the slim design. This case features a slim, carbon-fiber design with gloss detailing. 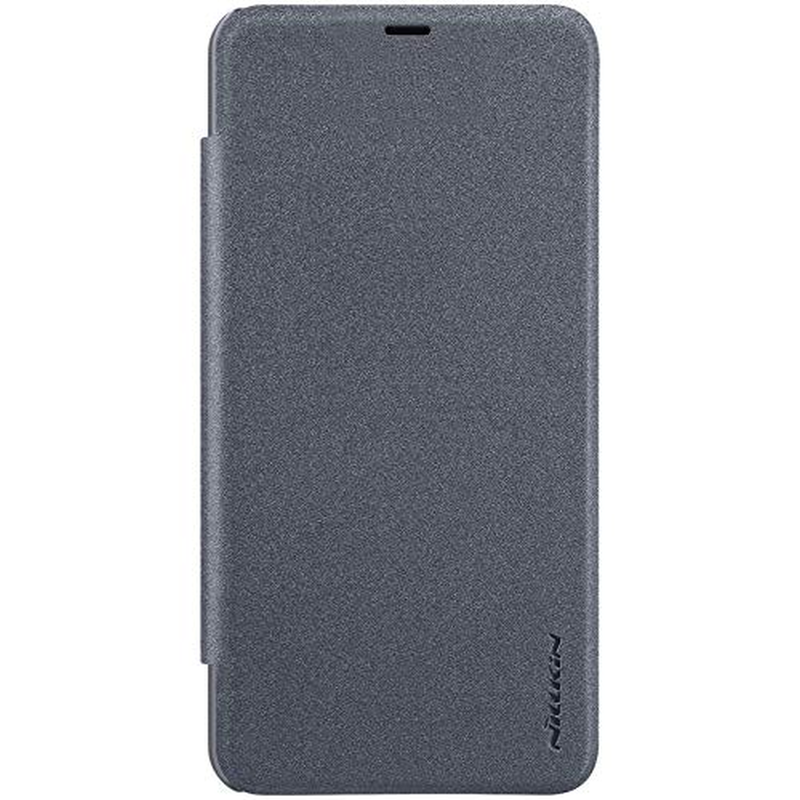 Lightweight and slim, this case easily glides into pant pockets and is great to hold in your hands too. Raised edges help protect the screen and camera when placed on a flat surface while the soft TPU back absorbs physical shocks to keep your Poco F1 phone as good as new day in day out. 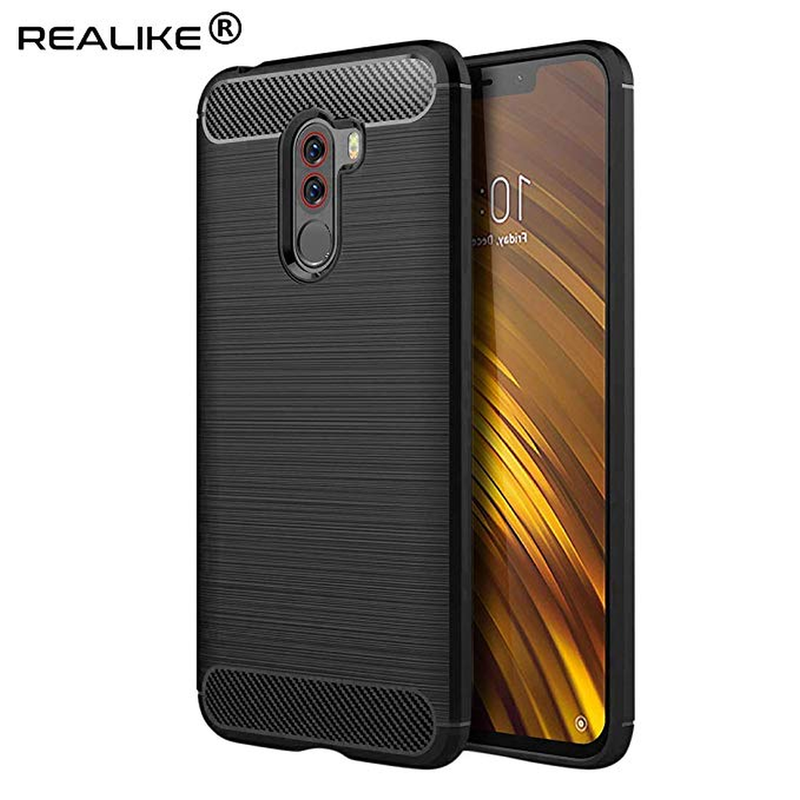 This case, made out of premium quality material, features a patterned back that enhances the grip quality of the phone. Anti-Shock cushion technology provides 360-degree protection. Lightweight and thin, this case never bulks up your Poco F1 phone. Precise cutouts ensure access to all the phone’s ports and buttons without any hassle. 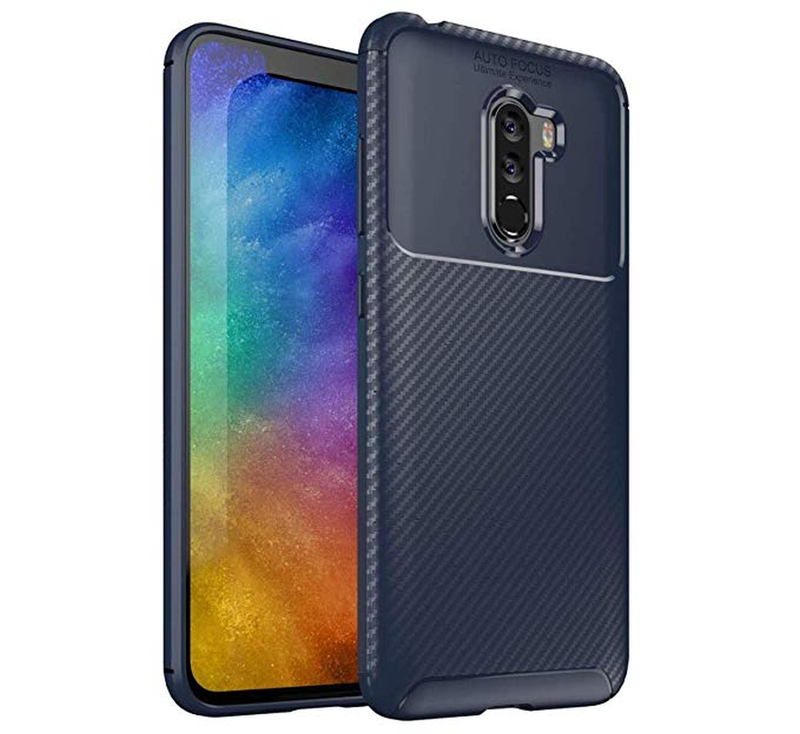 This case features a carbon-fiber design that makes the case slim and lightweight without compromising on the safety aspect of your Poco F1 phone. 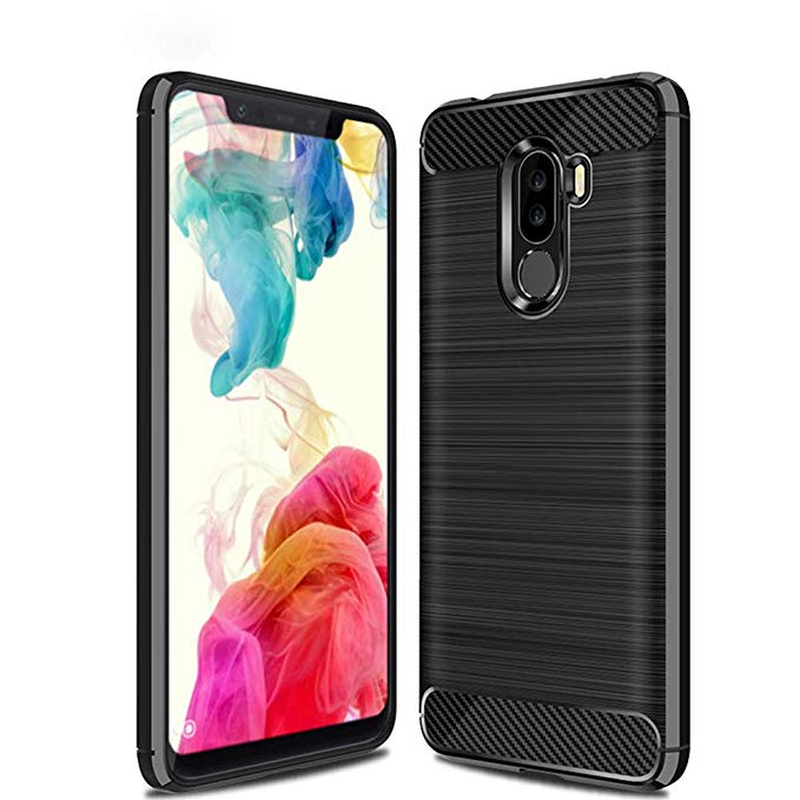 Easy to install and remove, this case is adept at protecting your phone from daily wear and tear arising out of drops, bumps, and scratches using its Anti-Shock cushion technology. This case is made out of single-layer TPU with a matte finish and glossy edges. The carbon-fiber texture gives your Poco F1 phone a suave look. 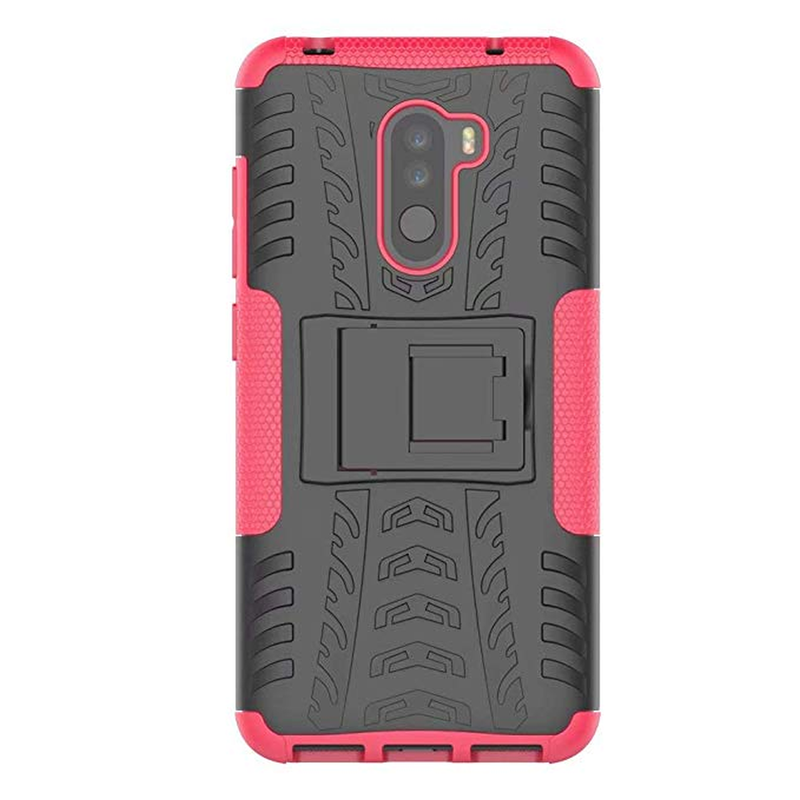 Its bumpers are made using Anti-Shock cushion technology which protects your phone from all kinds of damage arising from inadvertent drops and knocks. The matte finish ensures a smudge-free look too without having to regularly clean. This protective slim case is for those who like a smooth, suave look without adding any extra bulk to the phone. Made out of soft TPU, this classy case provides 360-degree protection despite the slender build quality. Minimally raised lips provide added protection to the camera lens and screen when placed on flat surface. Glides easily into pant pockets. 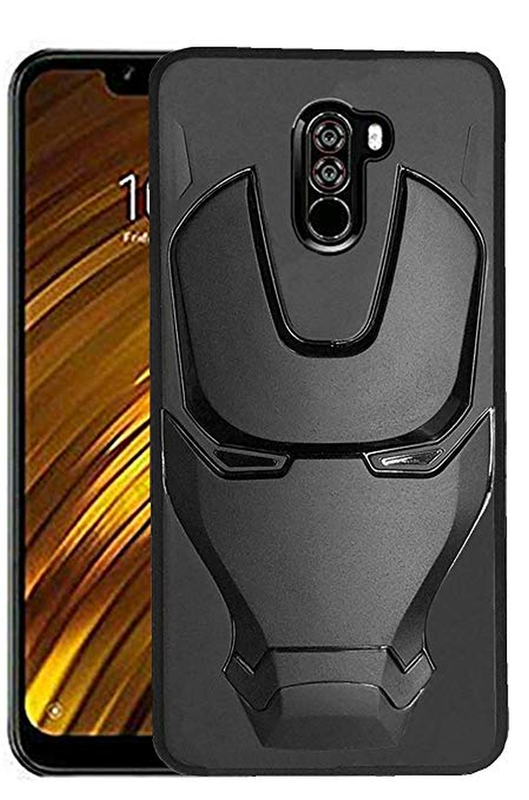 This case features the iron man mask design in a matte finish over a rubberized back material for a firm grip. 360-degree protection ensures drops, bumps, and scratches are mitigated effortlessly. The raised bumpers provide additional security to the camera and the screen of your Poco F1 phone. This is a must-have case for The Avengers fans and especially iron man fans and a great opportunity to make friends jealous! 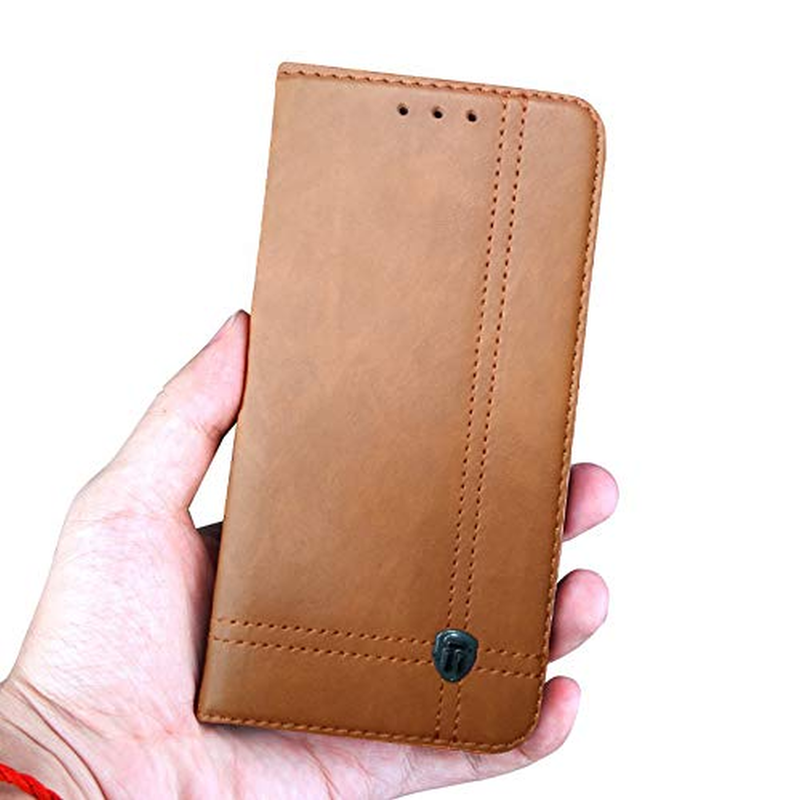 This case speaks class with its vintage leather look. 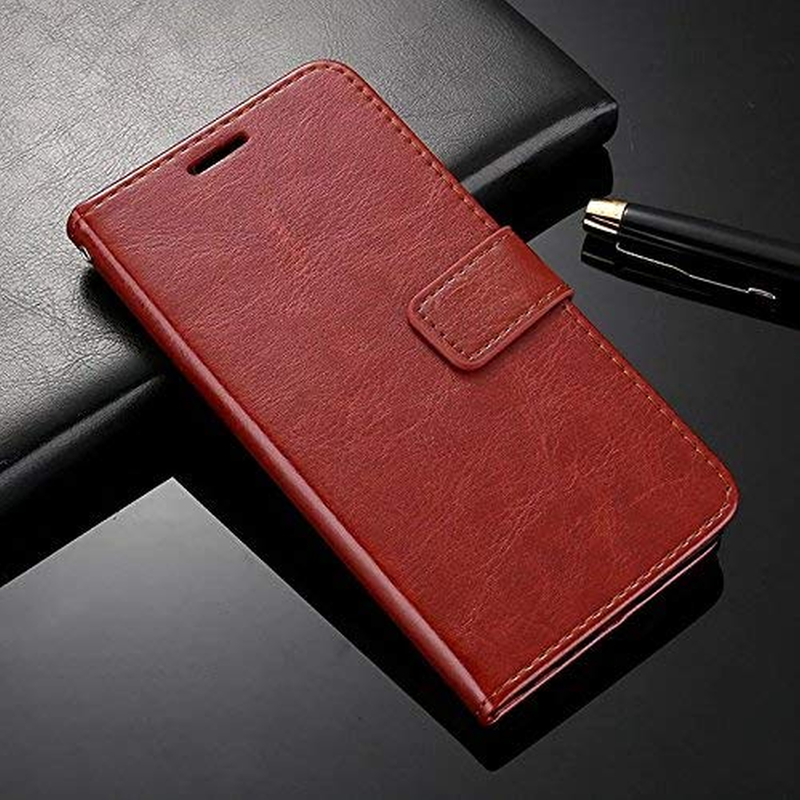 Made out of PU leather, this case is quite capable of safeguarding your Poco F1 phone from the daily grind of scratches, drops, and knocks. Auto-pressure closure technology ensures your case doesn’t need a bulky magnet to secure your phone in its place. Two card slots and the convertible stand make this case both fashionable and utilitarian. This case by Febelo is revered for its classic leather wallet look. Made out of PU leather on the outside and soft TPU on the inside, this case protects your phone from all kinds of shocks. Three card slots and a big sleeve enables you to store credit cards, ID, and some cash too! The convertible stand allows you to watch multimedia on your phone with a totally hands-free experience. 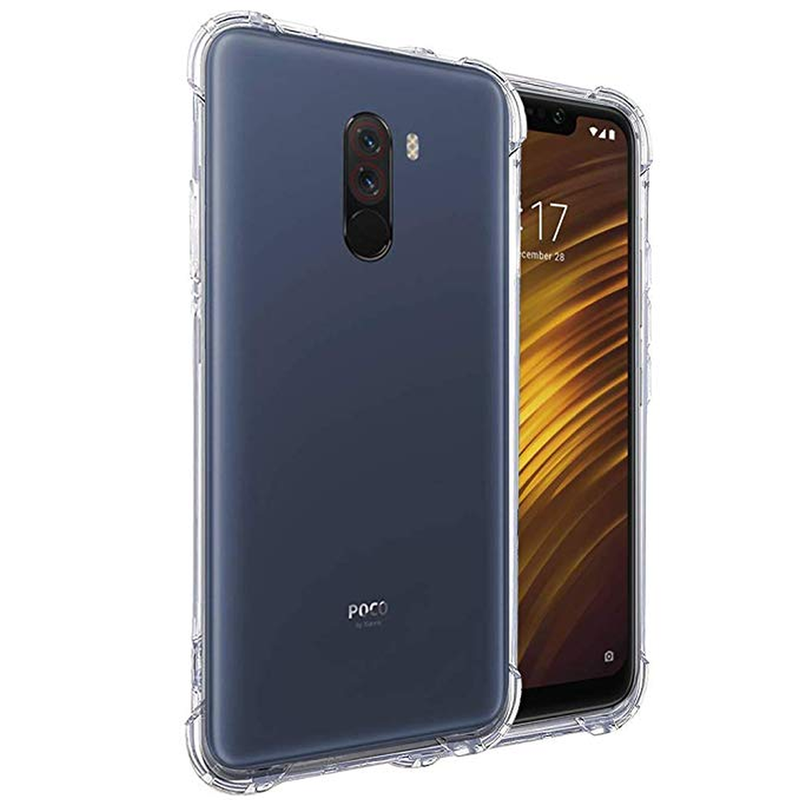 This was the list of best cases for Xiaomi Poco F1 phone that’s available in the US and India. The shortlist includes all kinds of protective cases like clear cases, slim cases, rugged cases, leather cases, and more. Buying any of these will ensure your phone is adequately protected against mishaps that may break the phone and cost you more to repair. So what are you waiting for? Get one now!